United Arab Emirates became one country has a plentiful of super cars population. Seeing this potential, a Dubai startup automotive company named Jannarelly Motors created a classic style sports car concept. 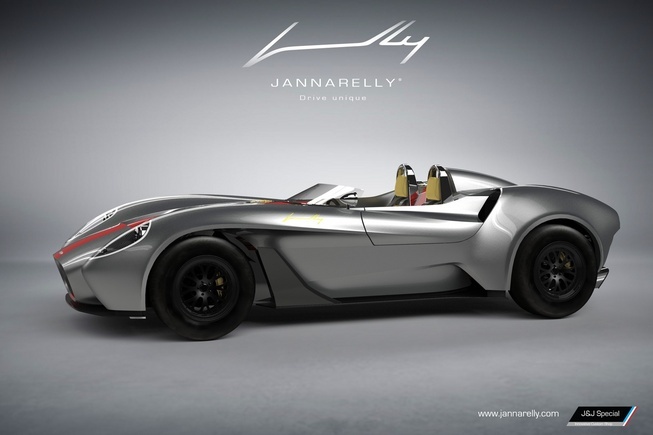 The sports car called 'Design-1' is a roadster with a design inspired by the cars of 1950s-1960s era. Its weight is also designed to be very lightweight which is 710 kilograms because it was built of the fiberglass and carbon fiber. 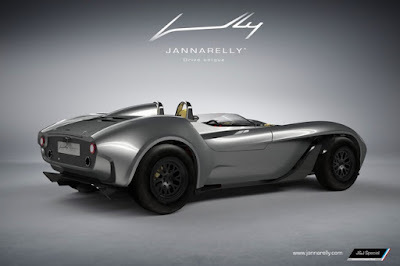 As quoted from Leftlanenenws on Monday, December 28, 2015, the windscreen of Design-1 is designed minimalist and convertible. Nonetheless, the manufacturer promises if the windshield and hard-top is also available on the production version. The Design-1 uses a 3.5-liter V6 engine of Nissan and combined with a six-speed manual transmission system. The maximum power output reached 304 hp with 370 Nm of torque. 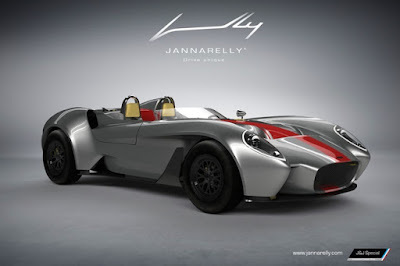 Jannarelly Motors claims that the Design-1 can accelerate from 0-100 km/h in 4 seconds. The maximum speed is estimated at more than 210 km/h. The company will sell the Design-1 with a starting price of US. $55 thousand, or approximately Rp.748,82 millions. And the buyer must submit a deposit of US. $ 5 thousand, or approximately Rp.68 millions as a down payment.